Kelly and Stephanie learning about how and when hops are added. 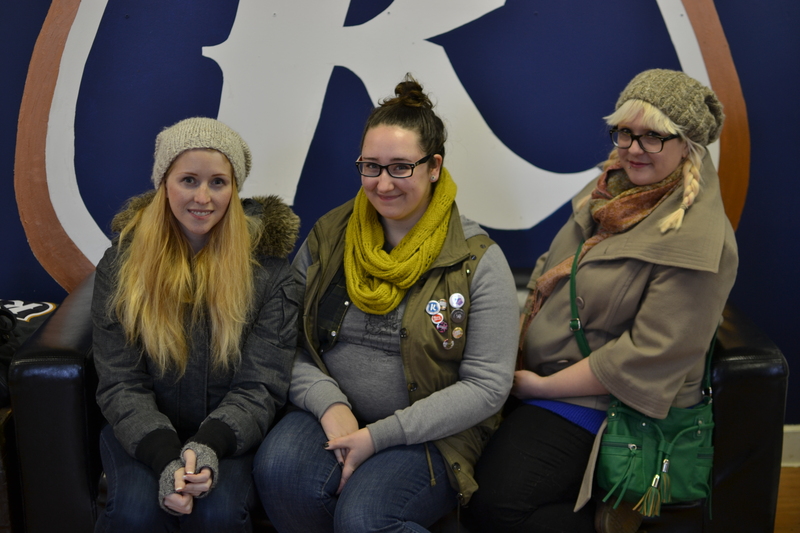 A long long time ago (not really), the Ottawa crew attended their first event as Fat Girl Food Squad. It was a grand opening for a knife store, and along with music and knives and coffee, we were introduced to the Kichesippi Beer Company. They were slinging their newest product, a soda line called Harvey and Vern’s, and making dark and stormy’s (a new obsession for us). We met with Sheena and Grayson, and chatted soda and beer and had a great time. Then, suddenly, it was like we couldn’t stop noticing Kichesippi beer. It was everywhere! It was in our favourite restaurants! It was at festivals we attended! It was sold at the LCBO! What was this company? M.C., Stephanie and Kelly getting a Kichesippi Beer education. A little more research led us to find out a whole lot more, and one more kickass thing Ottawa can call its own; Kichesippi Beer Company. Started about three years ago, Kichesippi is a mom-and-pop organization that now employs about fifteen staff. They started in Ottawa, and have been brewing here ever since; the product is available only in Ottawa and the surrounding area making it a truly local beer. Year round they serve up a natural blonde, and 1855 (the year Bytowne became Ottawa). They also serve up seasonal beers, and do one-offs throughout the year for special occasions and vendors. Roasted malts. They were a tasty snack, actually. Awesomely enough, the brewery does tours on Saturday, so we took a drive just outside of downtown to go try some beer and learn something new. We were greeted by two enthusiastic, plaid wearing, grinning dudes who immediately offered us beer (and soda for our designated driver). Can all tours start like that? Our tour was in-depth and amazing. 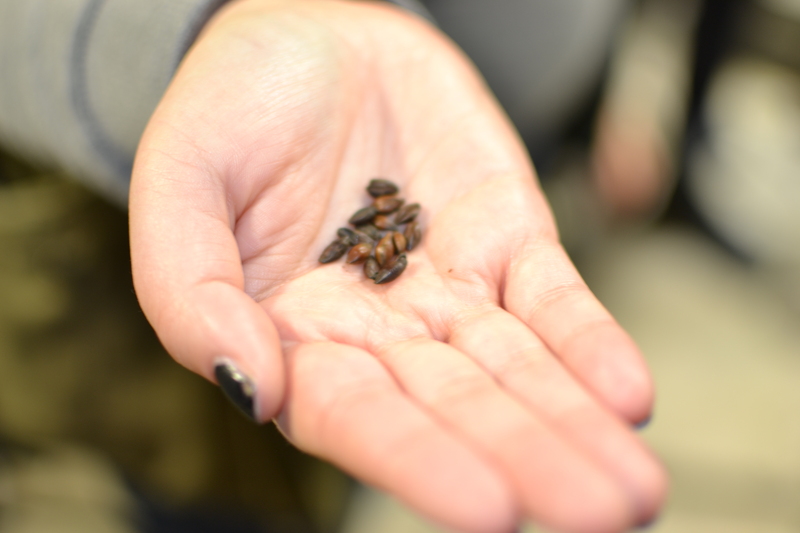 We talked a lot about the science of brewing, went through the entire brew process from malt to bottling, and really enjoyed hashing out the minute details of the process. Our guide Chris was clearly enthusiastic not only about the product, but about the people and company. He’s their sustainability guy, too; so we got to hear about initiatives the company is working on to greenify themselves and keep their waste lower. 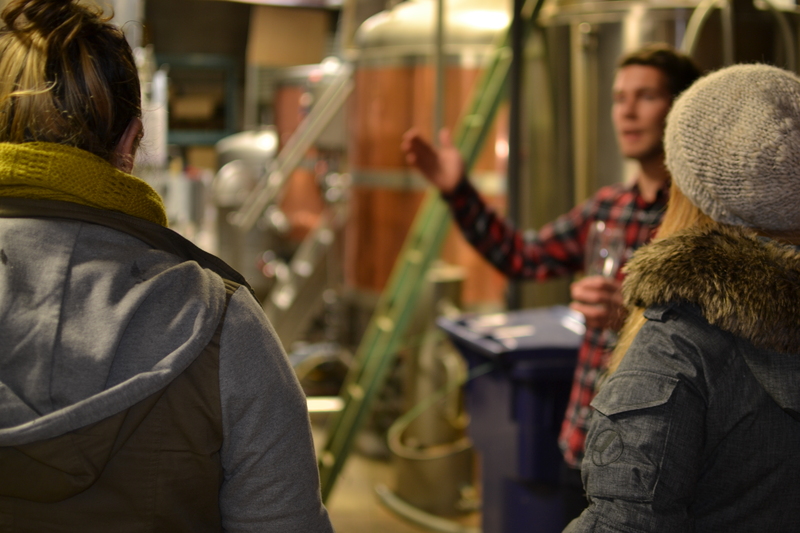 Between looking into vats and fermentation tanks, we talked malt, hops, IBU, water waste, filtration, and liquor laws. 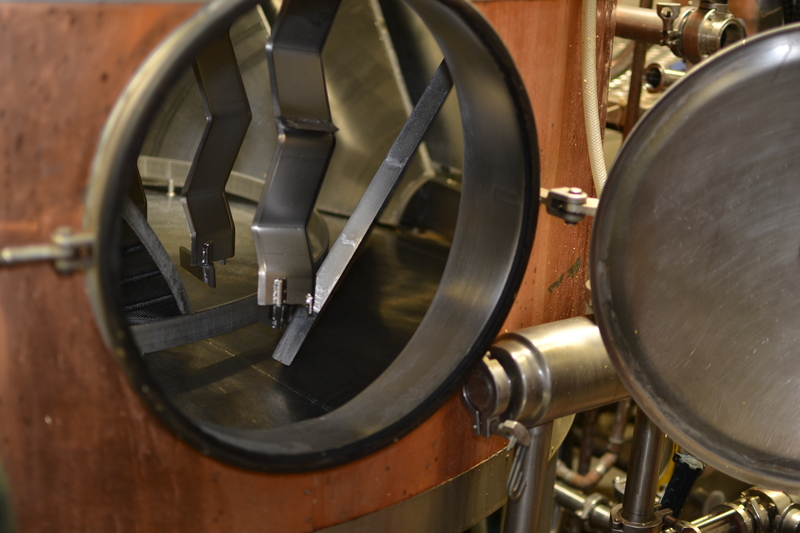 This is where the malts are soaked. And we drank a good amount of beer. Confession: I’m not a huge beer drinker, but I’m a big fan of both of Kichesippi’s year-round brews. Both of them are easy to drink, refreshing and appeal to even non-beer drinkers, I think. I’ve also really enjoyed the beers I’ve had seasonally and at festivals or for vendors. The Manx Pub serves a stock ale made by Kichesippi. I’ve tried Kichesippi’s porter at Atomic Rooster and they made a one-off beer for Arboretum Festival this summer that was easily one of the smoothest beers I’ve had. No beer is actually being brewed on Saturdays (other than some full fermentation tanks) but the retail store out front was hosting a good amount of traffic (along with merch, you can buy the Harvey and Vern’s soda and the Kichesippi beers in bottles, growlers and kegs). After a growler (who knew that was a thing!) 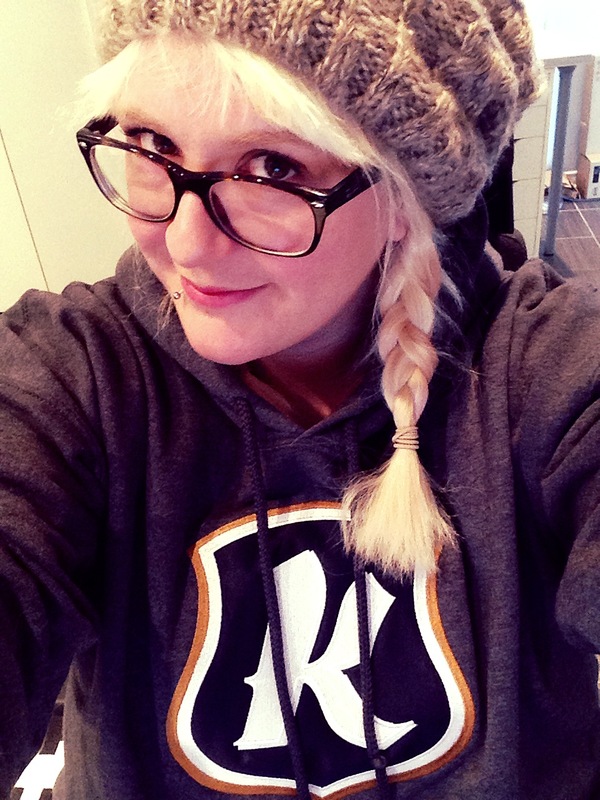 of 1855 and a weekend spent curled up in my Kichesippi hoodie? I’m a convert, for sure. Bring on the beer. M.C. rocking her Kichesippi hoodie. The front retail space of Kichesippi is relaxed and friendly. Chris, M.C. and Kelly chat one-offs and seasonal beers. 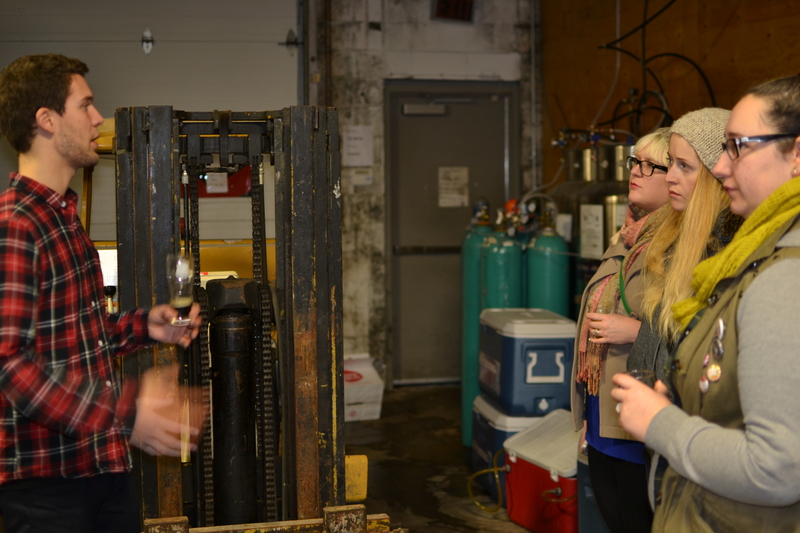 Stephanie and Kelly learn what the chart on each fermentation tank includes.